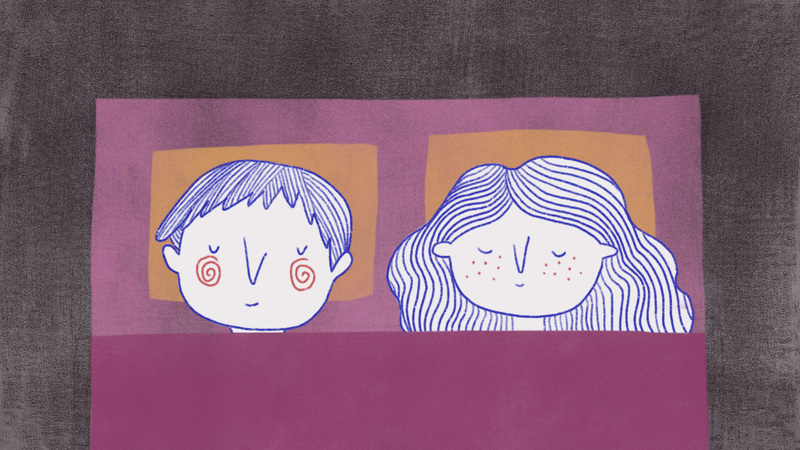 Sleeping next to your partner is one of the most comfortable and warm feelings in life — but it can also be one of the coldest and strangest. The thing that is really amusing about sleeping next to your partner is you really have no metric of knowing what it’ll be like until you’re there. Nobody “looks” like how they sleep and you’ll just have to accept the hand you’re dealt (or you can break up with them, but in the list of arbitrary things to break up over this is rather high up). You could be someone blessed with a partner who sleeps like a corpse and makes zero noise and exudes body heat like a space heater. You could also be ‘blessed’ with a partner who starfishes and snores louder than a tanker truck. There are also partners who strategically burrito themselves — that is, pull all of the blanket towards themselves in a quilt cocoon, leaving you with nothing but your shivering body and a pout. There are partners who always want to have your arms around them and will, in their literal sleep, powerfully grab your arm and pull it over their chest and you’ll be shocked at the strength they exude despite the fact they’re skinny and no, it’s not like I’m speaking from personal experience, ahem. Regardless of what your partner sleeps like, it is important to note the vulnerability that is always present when you do so. Consider the fact that baby animals are most easily scooped up and eaten when they are sleeping. Principally, your partner could stick a knife in your neck just as easily but for some reason they choose not to. It might be because they love you, and you need to be thankful about that.